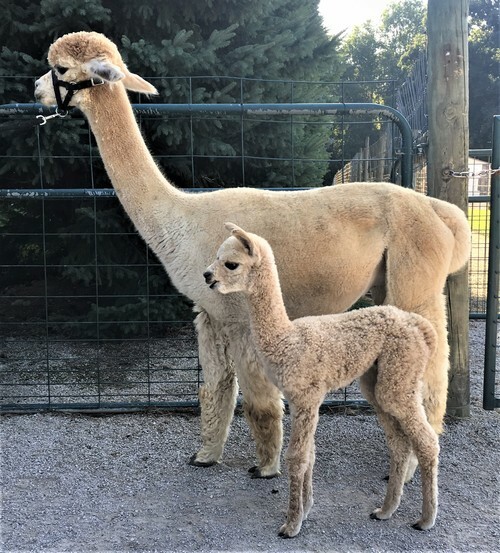 Sousa with new Cria 2018! SA Peruvian Spell Bound is an exceptional light rose grey. 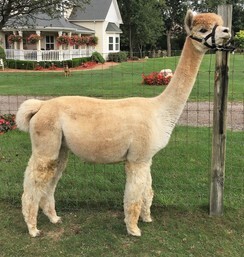 blend of Accoyo America Kashmir and Elite Maximus genetics. Cristoph is a 6x champion. 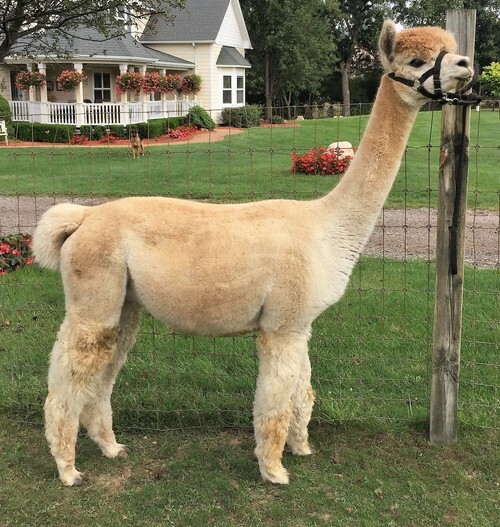 For Sale with cria at side at the 2018 Royal Progeny Alpaca Action!! !